Thread: Pork Loin Roast today. 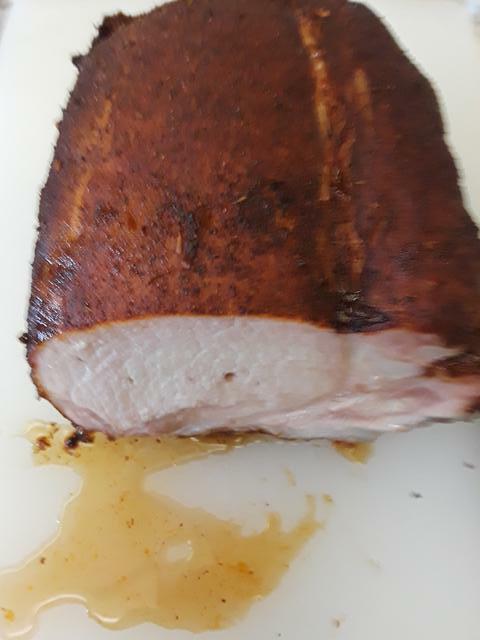 I did my first pellet smoker pork loin roast today. It is about 4 lbs and quite lean. I started by patting it dry with paper towels and then applying a thin olive oil coat. 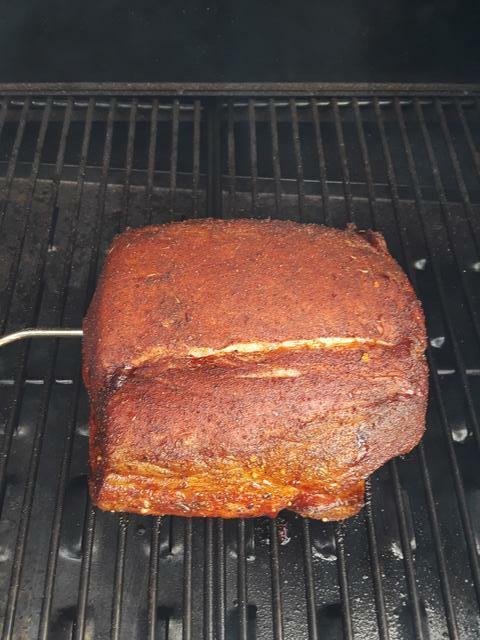 Next, I rubbed in some Blues Hog Dry Rub Seasoning and let it sit for about 10 minutes while the smoker got up to 220F (Hi Smoke setting). I put a temp probe into the roast and placed it on the middle of the grill and closed the lid. I made no adjustments to the temp and did not open the lid for 3 hours. At the 3-hour point, the IT was at 148F. OOPS! I should have checked it 10 minutes earlier so I could have pulled it at exactly 145F. Well, as it turned out, everything was okay. At the first cut, the meat is very moist and very tender. Another win for the rookie. Or was it just dumb luck. I’m liking this pellet pooper more every time I use it. Doesn't look like there was too much of a learning curve for you at all!! That looks fantastic! Great cook and thanks for sharing the details. We will all learn from this. Thanks!